Also known as Pak Choi and Bok Choy. This is a great vegetable to have in the garden because it grows fast and does well in cool temps and the shade. 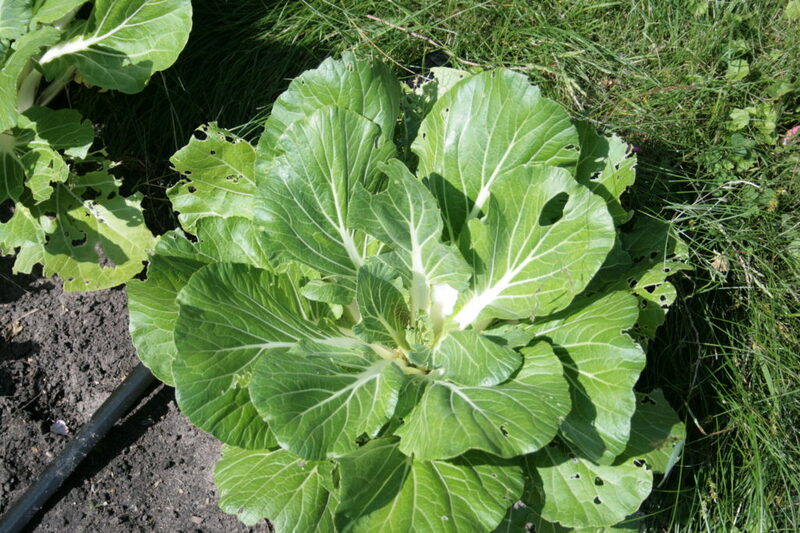 Its leaves can be used in salads, and the whole head, especially stems, makes great stir-fry. 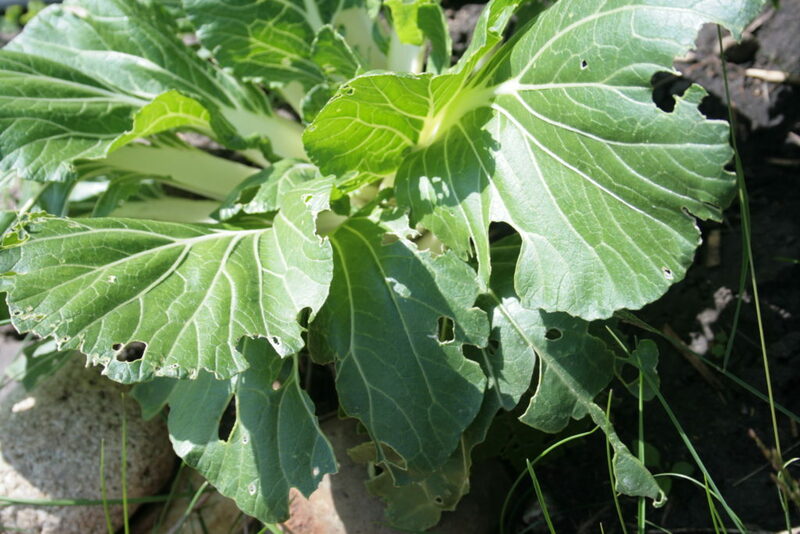 One difficulty in growing pac choi is that the insects also find it tasty! Here’s a close-up of some of leaves that have been enjoyed by these critters. I haven’t done anything to try to mitigate the pest invasion, because it rarely ruins the quality of the vegetable. If they do damage one significantly, I have plenty to spare. One day, growing weary of stir-fry, and with many more pac choi in the garden begging to be had, I decided to thinly slice up the stems and make a sort of asian cole slaw. It was really tasty and colorful. Mix ingredients for dressing and set aside. Thinly slice pac choi stems and leaves, put in bowl. 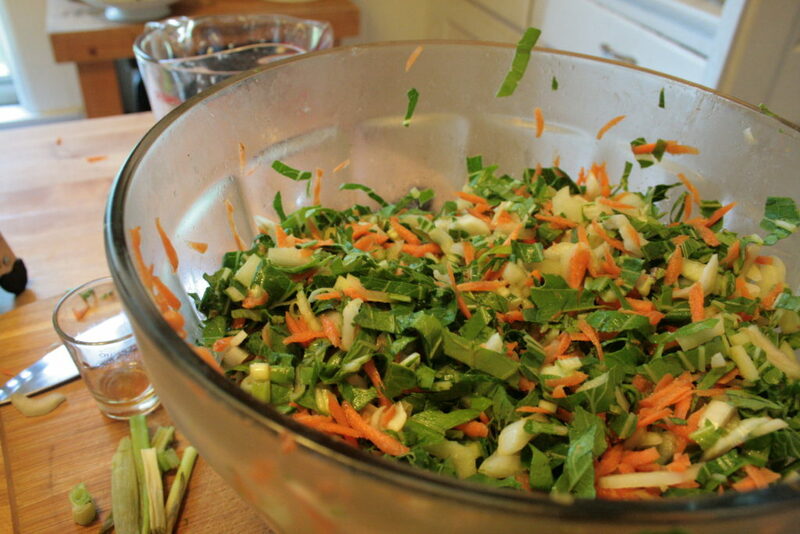 Thinly slice the scallions, grate the carrots and add to bowl. Mix well and top with dressing.